St Helens Fort is a sea fort in the Solent at the entrance to Bembridge Harbour. It was built as part of the Palmerston defences of Portsmouth. 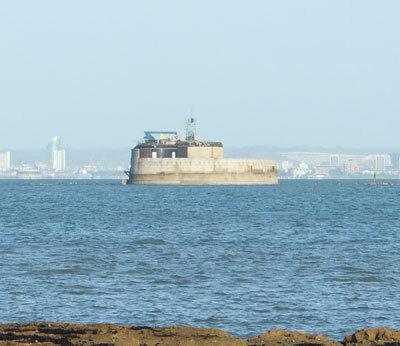 Built between 1867 and 1880 it is smaller than the other sea forts in the eastern Solent and also closer to land. Although never used to repel an invasion of the French, as was its originally purpose, it was used in both World Wars as part of the defences of the east Solent. Subsequently its main useful role has been as a navigational light. The fort is now in private hands and not open to the public. At especially low tides, the fort is accessible by walking along a sand spit from the Bembridge shore.